Kunshan tire industry heads for "fast track"
On November 10, the board of directors of China National Construction Industry Corporation decided to increase the capital to establish Rubber (China) Co., Ltd., and to set up a new all-steel wire truck tire factory in Kunshan. It is understood that the new plant in Kunshan, Kunshan, has a total investment of 99 million U.S. dollars and a registered capital of 33 million U.S. dollars. It is expected that the new plant will start construction at the beginning of next year. The new plant will have a daily production capacity of 7,000 to 10,000 units. After the project reaches production, it is expected to produce 2.1 million tires a year, with an annual production value of 3.2 billion yuan. 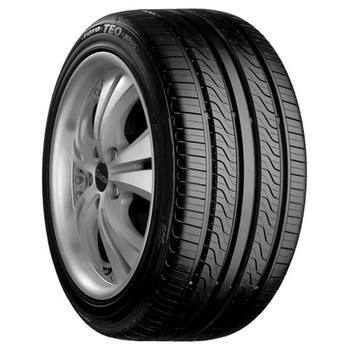 Jianda Industrial is a tire manufacturer in Taiwan. Based on the tire industry, it takes an international and diversified development path. Jianda Rubber (China) Co., Ltd. has achieved rapid development in Kunming for 20 years, with an annual output of 67 million tires for various specifications such as bicycles, motorcycles, and automobiles. It has entered the ranks of domestic first-line brands and achieved sales of 2.6 billion yuan last year. It is reported that Jiangsu is an important base for China's export of tires, second only to Shandong, and Kunshan tire exports account for one-third of the province. Kunshan currently has 3 new tire factories, namely Zhengxin Rubber (China) Co., Ltd., China Construction Rubber (China) Co., Ltd. and Cooper (Kunshan) Tire Co., Ltd., which are foreign-owned large-scale wholly-owned enterprises and export 70% of their products. It is exported to more than 100 countries and regions including the United States, European Union, Canada, Russia, Australia, and Japan. The varieties include passenger car tires, truck tires, passenger car tires, industrial vehicle tires, motorcycle tires, and bicycle tires. Next: Customized mobile phone showcase need to pay attention to what?